Now we are officially into the month of October I thought it would be fun to share some great Halloween ideas if you are throwing your own party, making your own costume, decorating your home or creating some tasty, ghoulish treats! Bunting is an extremely quick and easy way to decorate your party venue. It’s also a great activity to get the kids involved in the party preparation! 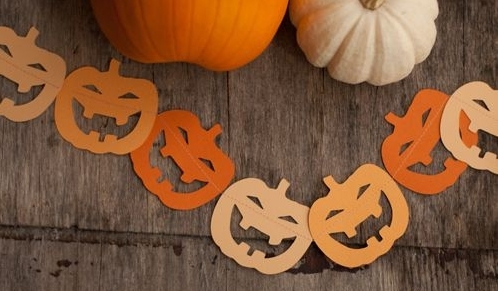 For a super simple pumpkin bunting all you need is some orange card, a black felt tip pen, a piece of a string, and a little bit of creativity! Simply decorate your pumpkins with lots of expressive faces, cut them out, hole punch a small hole in the top, and thread the string through. It could not be easier and is a whole lot of fun to make! 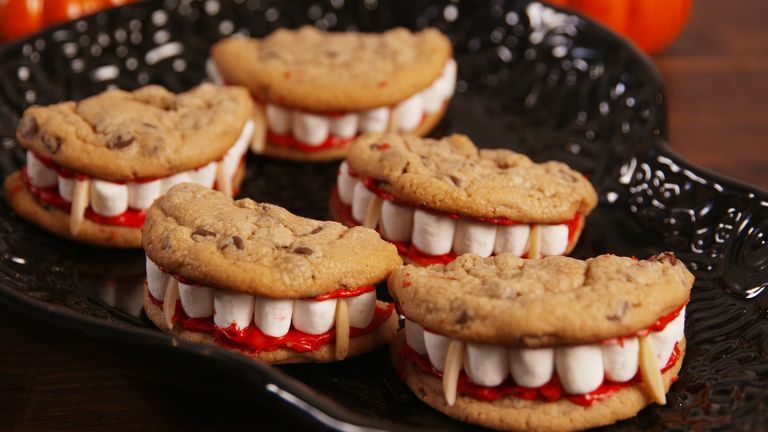 These are easy, quick, delicious and spectacularly creepy! Roll the cookie dough into small balls and place on the baking sheet, and cook until golden, for about 12 minutes. Allow them to cool completely and then cut them in half. Add a few drops of red food colouring into vanilla icing and stir until smooth. Spread a thin layer of red icing onto each cookie half. Spice up your party table with these fantastic plates! These really could not be easier and add a whole wealth of fun to your party table! Simply reuse the black pen you had for your bunting on some orange paper plates! Another fun activity for the kids too! Creepy crawly spiders to decorate your home! All you will need to make these eight-legged friends is some old toilet roll tubes, black paint, pipe cleaners, and some googly eyes! The kids are sure to love making these creepy crawlies and they will look fantastic all scattered around at your party. If you need anymore ideas I recommend having a look on Pinterest as there are lots of creative, fun ideas on there!